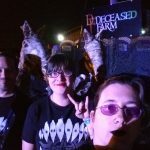 Deceased Farm is back with another year of scares and screams in Lexington, South Carolina. There’s enough entertainment out at Deceased Farm for visitors to spend most of a night there. 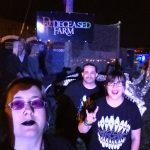 In addition to the haunt that winds through a 2 acre corn field and several farm buildings, Deceased Farm also offers (for a small additional fee) a paint-ball zombie shoot. Concessions and a beer garden (complete with spooky and humorous beverage names) are within the haunt and provide space for visitors to sit and watch others come screaming out of the haunt while music pumps into the night. The cast of Deceased Farm are a great bunch though there did seem to be a lot of fresh new faces (albeit in various states of torment and disrepair) among the fields. 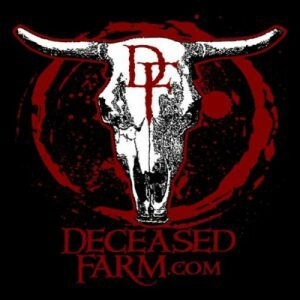 Deceased Farm has its share of clowns, undead haunts, cannibal children of the corn, zombies and other unidentifiable creatures. The actors in the corn maze, though numerous, were particularly adept at flinging themselves, screaming wildly, across the path only to vanish back into the corn stalks. This was frequently done so rapidly and acrobatically that it was occasionally difficult to tell just what had crossed in front of (or behind, or beside) you. One of the interior scenes of a child’s room had a particularly skilled haunter with a bear. The poor lost soul looking for a mechanic was great at using dialogue and improvisation. Most of the actors seemed to be dressed appropriately and fit the scenes they were in. There are a few masks scattered about the Farm that were done well, but most of the sizable crew rely upon make-up and there are some great examples of it throughout the haunt. An angelic statue, the dead car driver, even the woman in the corn who’d had a dinner mishap all had great make-up that fit well with their respective scenes. There was a lot of signage and staff in the parking lot. The staff at Deceased Farm are a friendly group – as long as you’re also a courteous visitor. They don’t put up with folks causing disruptions and will quickly isolate and remove troublemakers. Since visitors are traipsing through a corn field in the middle of the night as well as entering and exiting a number of buildings, it’s best to wear some outdoor suitable shoes and be aware of where you’re putting your feet. This can be difficult if you’re currently screaming or jumping away from the sudden appearance of a zombie. The support staff are all great and willing to talk about the haunt. Easily recognizable with their staff shirts, they keep things running smoothly throughout the night. The attraction offers a beer garden, zombie shoot and lots of photo op spots. There was trivia on monitors and actors were peeking from within the haunt itself, but no queue haunters. Deceased Farm is located on a farm in the middle of the countryside and there was corn everywhere! From the time you pull up, you can hear rock music echoing over the fields drawing you in. Once you’re back to the parking lot, you’re clearly at a haunted attraction, even though it’s hard to see past the fence that separates the haunt from the outside. The crew of Deceased Farm work to create some interesting effects across the acreage of the site. From the 3D painted scenes in the clown haunt to the varying heights of the corn to the rising spirits of the graveyard, there’s a lot of great stuff to be found out on the farm. The internal scenes in some places of the haunt were very well done – the children’s bedroom with the teddy bears for instance was a great example of staging. 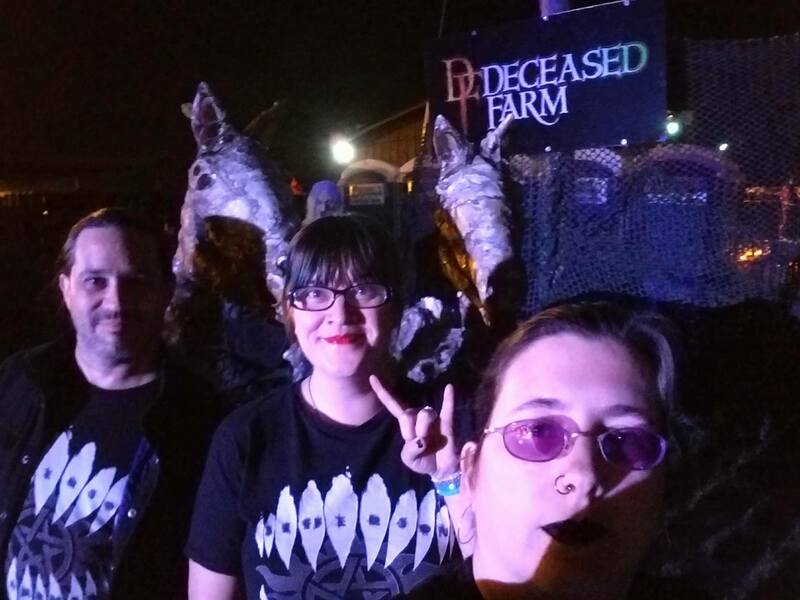 Deceased Farm is an old-school haunt with a variety of scenes from clowns to monsters to cannibals to ghosts. Deceased Farm pulled lots of screams from the visitors around us. The group in front of us was frequently slowing down because they were too scared to go forward and the group behind us quickly caught up to us because they were running from the scenes behind us. The Farm works at changing things up a little bit every year to ensure that repeat customers get new scares and don’t grow too complacent about where scares might be coming from. And speaking of coming from, while you might be able to judge when a scare is coming while you wander through the interior rooms, most visitors are going to be hard pressed to tell when a haunter is going to suddenly launch out of the corn right in your face. Don’t try to judge where by the little alcoves and side trails. That doesn’t matter. Try to judge by the sounds of a body crashing through the corn? Think again! Just be prepared for someone to come screaming out at you every moment you’re in the corn. 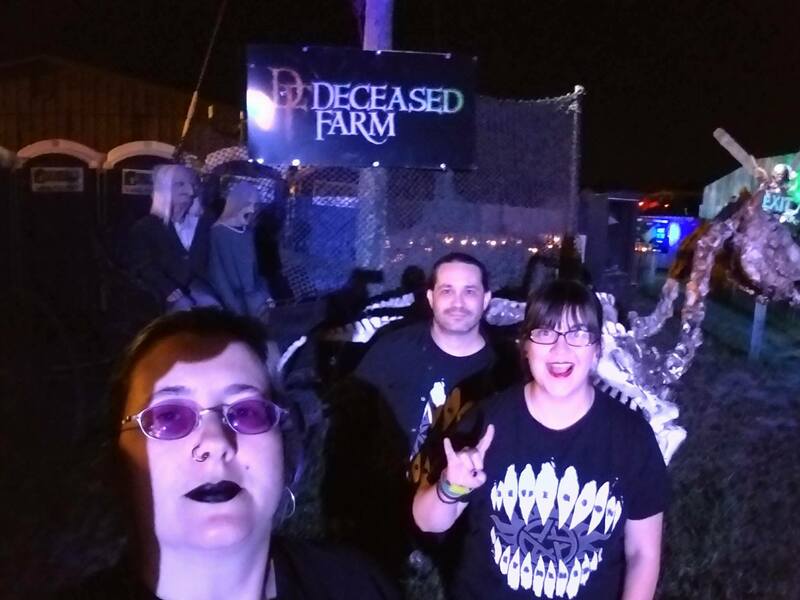 Offering a huge, 2-acre cornfield and multiple buildings that get new stuff each year, Deceased Farm brings you a great deal of bang for your buck, but be sure to bring along a little extra for drinks, concessions, t-shirts, and zombie shooting. There’s a lot to see and do out at the Farm and you can easily spend most of your evening on the property enjoying the festive atmosphere.